We develop the website that is easy to navigate and user friendly so that your customers keep coming back. 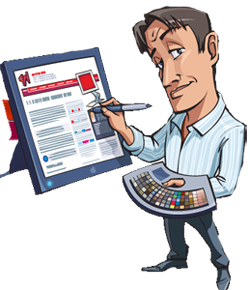 Our primary focus is to provide customized User Friendly Website Design Solution. Understanding of user point of view is the essential and correct approach to deliver solution which will be globally accepted. Before we proceed with designing, we keep customers usability behavior at priority while designing a website. It is very critical to keep in mind the importance of identifying the target viewer and thereby optimizing for usability and desirability. We develop the website that is easy to navigate and user friendly so that your customers keep coming back. Interested in having a website developed for your business or getting an existing site updated? Provide information about your product or business using an effective means? Give a boost to your product or service? Launch a new sales medium for your product / service? Increase sales and revenue from your business? Maintain clients and get repeat customers? Use a long lasting marketing medium? Move ahead of your competitors or keep up with them?